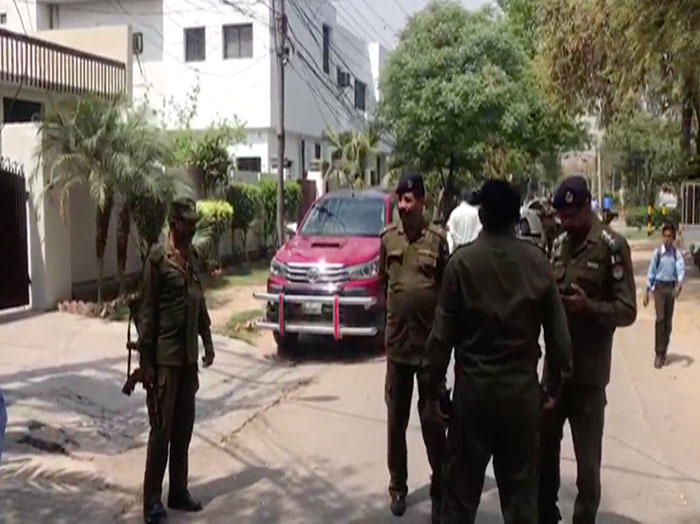 LAHORE: The National Accountability Bureau (NAB) are conducting a raid at the residence of Pakistan Muslim League-Nawaz (PML-N) president and opposition leader in the National Assembly Shehbaz Sharif’s residence. 96-H Model Town, where the raid is taking place, is the residence of Shehbaz and his son Salman Shehbaz. Sharif’s elder son Hamza Shehbaz does not reside at this address. Shehbaz Sharif along with his sons Hamza and Salman are facing multiple NAB inquires, including those into the Ashiana Housing scandal, Ramzan Sugar Mills and assets beyond means. “NAB personnel came to search the house without any warrant,” said PML-N Punjab spokesman Malik Muhammad Ahmed. NAB sources said all legal formalities were completed prior to the raid. They added that the raid is being conducted to detain Hamza Shehbaz in the assets beyond means case. She confirmed that both Shehbaz and Hamza Sharif are present at the residence. “Are Hamza Shehbaz and Shebaz Sharif terrorists?” Aurangzeb asked. The PML-N spokesperson stressed that NAB was unable to prove any sort of corruption.